The internet has become significantly important in everyday life. Devices are at a greater risk of infection with different kinds of malware because of the increased use of the internet. Malware can come from different sources such as social media websites, e-mail spam, and websites that have unauthorized codes. Malware infections result in low performance and damage of the device. Global mobile anti-malware market to grow at a CAGR of 17.36% during the period 2016-2020. Malware is a software that loads on mobile devices through the internet or while downloading unauthorized applications. It spreads from one device to another in different ways such as through networks, the internet, and e-mails. Mobile anti-malware protects mobile devices from malware, data theft, unauthorized access, viruses, spyware, hacker attacks, and online identity theft. 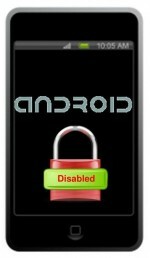 It blocks unwanted calls and messages and detects, prevents, and eliminates viruses and malware. Mobile anti-malware scans the memory, OS, and files of mobile devices using heuristic detection, signature-based detection, rootkit detection, and real-time scanning methods to prevent mobile malware infections. Global Mobile Anti-Malware Market 2016-2020, has been prepared based on an in-depth market analysis with inputs from industry experts. The report covers the market landscape and its growth prospects over the coming years. The report also includes a discussion of the key vendors operating in this market.